If you have incorrectly quarantined item(s) or you feel an item has been incorrectly quarantined by the application (a false positive) then you can restore it/them using the following procedure. 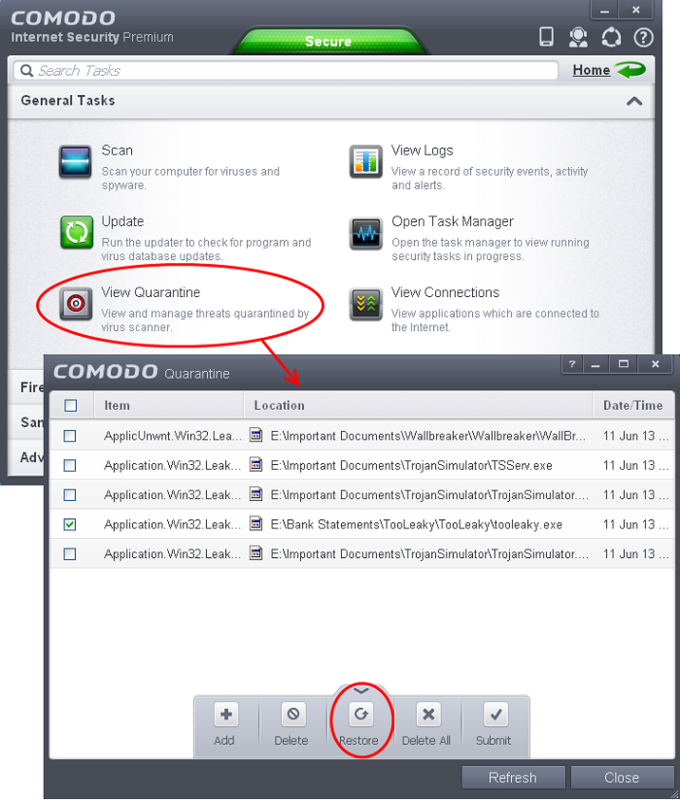 In 'General Tasks', click 'View Quarantine'. Choose the items to be restored by selecting the checkboxes beside them. Click the handle from the bottom and choose 'Restore'. An option to add the selected items to AV excluded files will open. If you select 'Yes', these items will not be included for AV scans. If you select' No', these items will be included for AV scans and quarantined during the next scanning.